Who will be the sixth man for the LA Clippers in the playoffs? The Los Angeles Clippers are looking to enter the playoffs strong. With Blake Griffin playing at an MVP level and with Chris Paul at his best, the entire Clipper Nation is optimistic that this will be year the Clips will make it to the top. But who will be the most significant role player for Doc Rivers’s group during the playoffs? Who will be the sixth man? One names comes in my mind when I hear the phrase “sixth man” and that’s no other than Jamal Crawford. The 34-year old veteran guard won the Sixth Man of the Year award back in 2010 and he is set to win it again this year. He has been exception all season long and especially during the time Chris Paul was sidelined with a shoulder injury. Crawford is putting up 18.4 points per contest this season and I expect him to continue putting up points in bunches during the postseason. Of course, Doc Rivers has more than one weapons to line up against any potential opponent. The Clips hope to have their entire roster available during the postseason, right from Game 1. 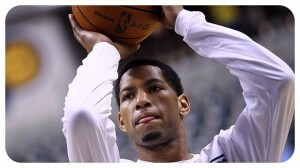 Danny Granger, who is currently out with a hamstring injury is set to return to action. The 30-year old forward hasn’t been a big factor in the 12 games he appeared with the Clippers uniform, after he was brought in LA. Nonetheless, thanks to his veteran experience he could be a key for the Clips in the postseason. Granger can space the floor thus opening the lanes to Chris Paul, Crawford and also give more space to Griffin to work close to the basket. The playoffs are the reason why Lob City decided to acquire Granger in the first place. Another role player who could prove out to be a big factor in the Clippers’ championship course is J.J. Redick. The 29-year old guard played in just 35 games up to now in the season due to back injury and he instantly made his presence felt. If there was one thing the Clips tried to improve this offseason that’s team three-point shooting. J.J. Redick adds up to the team’s firepower from beyond the arc. Thankfully, Redick now seems to be ok and his 12.4 points per game average over the last five games show exactly that. The sharpshooting guard has to play big for the Clips during the postseason. Finally, Darren Collison and Matt Barnes will have to contribute, too, during the playoffs. However, none of them has shown up to now in the season that he can be the true sixth man for the Clips. Certainly, Collison was reliable when CP3 was out. Nevertheless, unless Paul suffers an injury once again during the playoffs, Collison’s role will be limited to the backup point guard. Barnes, on the other hand earned the starting job midway through the season with Jared Dudley sliding to the bench. However, his role can be characterized as supportive rather than a sixth-man-type one. You can purchase Clippers Playoff Tickets from Barry’s Tickets an Official Partner of the LA Clippers. Can the Los Angeles Clippers Win the NBA Championships? Doc Rivers is entering his fourth season as the head coach of the Los Angeles Clippers. He was brought in because of his championship pedigree, however the Clippers have yet to break through to the Western Conference Finals. With a healthy “Big Three” of Chris Paul, Blake Griffin and DeAndre Jordan, a steadily improving bench and the support of owner Steve Ballmer, the Clippers are poised to make it to their first ever NBA Finals. Is Danny Granger the Clippers Missing Piece? The Philadelphia 76ers just recently announced that they agreed on a buyout with forward Danny Granger, who was acquired by the Indiana Pacers in exchange for Evan Turner and Lavoy Allen. Granger is now set to become a free-agent and the Los Angeles Clippers appear to be the frontrunners for his acquisition. So what can he really bring to the team? Is he the missing piece for the team on its championship run? First of all, it’s obvious that Danny Granger was under performing this season. Playing at the shadow of the emerging megastar Paul George and after he experienced a bunch of injuries, Granger was not the player he once used to be this season. The Indiana Pacers were no longer his team. The former All-Star played in 29 games this season and started in just a couple of them. He averaged 8.3 points per contest go to along with 3.6 rebounds and he shot a ugly rates, 35.9 percent from the floor and 33.0 percent from downtown. However, he has the potential to bounce back and uplift his performance. Granger seems to be a perfect fit in the Clips’ playoff puzzle. If he is acquired by the team, he will most probably be assigned with the starting small forward role. Granger has the size and the athletic skills to be a great perimeter threat, which can also drive to the basket. Of course, he is not as explosive as he once was, but after all, the Clippers don’t need him to be that type of a player. Thankfully, the Clips have Chris Paul and Blake Griffin, who will continue to take the biggest chunk of the offensive load on their shoulders. So where Granger is needed is to spot up and hit some open shots, especially from beyond the arc. In general, Granger will be a big upgrade in the Clippers wing. That’s because Doc Rivers is currently using Matt Barnes at the starting small forward role. Although Barnes is a serviceable forward, he is not a big scoring threat, especially from downtown. His fellow small forward, Jarred Dudley, who was acquired during the past summer has been struggling to find consistency all season long. In fact, he was demoted to a reserve, after starting for the Clippers earlier in the season. 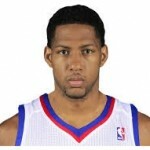 In conclusion, we can fairly say that Danny Granger is certainly a missing piece for the Los Angeles Clippers. He might not be the player who will take the team by the hand and lead it to the championship. However, after the addition of Glen Davis, the Los Angeles Clippers have the opportunity to add yet another piece in their puzzle. Granger is the best player available out there at the moment and the Clips shouldn’t let this opportunity slip off their hands. Granger will be an essential player come playoff time for Doc Rivers.